Look, I am no friend of Greg Keane (we have what is know as,”history),but I can only agree to his response to the latest piece of vapidity from the Head of CFM. I have spent too many years worrying about what may happen at the end of January that the fourth year of not worrying has given me pause for thought. Yes, it is time again for the annual rebirth of breakfast radio as old lags and newbies get up at 4:30 am to suffer the permanent jet ag of another year in front of a cold microphone, last night’s dirty studio that no one has cleaned up, darkness and empty offices and security guards who will know your name after only a couple of months, empty car parking places and the general sense of aloneness that the earliest of early mornings bring…. Ah, that brings back memories. So Classic FM is to have a new breakfast announcer who will begin to realize very quickly that the world turns ever so slowly in the morning and so does your brain, yet somehow the cheery air of the enchainee will have to oblige the sleepy listener and set them on their way.And, under the new regime, there will be no producer to shout at, demand constant attention and help when help is needed. Nope, there will be no one there and you cannot escape.You cannot come to work when you feel like it. You cannot fudge your workload onto others. You cannot even get others to do it for you, so you can pass it off as your own. No, Breakfast radio is bleak and very very exposed. How long will you last? I suspect not very long. The good times are over and although you will be stroked by management, I fear the slow process of breaking you down has started and within a year of two you will resent that alarm clock and those cold cold mornings…. Still, enjoy it while you can because time is short in our new radio world and the front door ca be very very close…. So Jazztrack will disappear soon and be shunted back to the RN who will bury it in a spot so obscure we will be scratching our heads and asking why?I should be pleased. Because Jazztrack made it to Classic FM through some of the dirtiest internal politics in the ABC’s history.A dirty deed was well done cheap. In 1985 RN had several Breakfast shows, locally based, and appealing to the individual states they broadcast to.The Head of RN at the time (whose name I have forgotten, that is just how forgettable he was) decided that we should all bid for the new National RN Breakfast,so we were herded into the board room in William St and asked to pitch for it.Many affirmations were presented, and few were listened to.By the following week, we (in Sydney, who had the highest broadcast reach and ratings) were told that it would go to Adelaide and in return Jim Mcleod and his partner, Gillian Waite, would come to Sydney.Jim to present a new programme called Jazztrack on ABC FM and Gillian to present an Arts show on RN mornings, where I was to be the executive producer. So when I heard that Jazztrack is off to RN I am sorry, but what goes around, comes around. Dirty deeds have been done cheap.CFM is rid of Jazztrack and the conservatives have got what they have wanted for years. They say that if you squeeze a lemon too hard all that is left is the rind and pips. All this week the ABC has challenged the world with its emphasis on mental health issues, including some really good documentaries and interviews spanning the range of mental health issues and broadcast over all its “platforms” so that exposure for an ABC listener and viewer could not be avoided.And it made me think…. 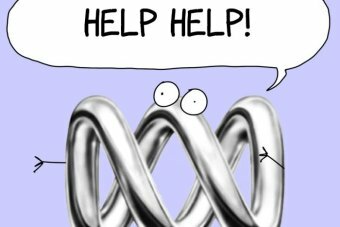 I spent 29 years in the ABC and as both a radio producer and, covertly, as a psychologist I came into contact with the best and the worst of mental health problems that emerge. I suspect it was,like all organisations, subject to the ups and downs of the personalities of both managers and managed and the interpretation of the policy (or lack of) towards mental health. During this time I witnessed bullying of people unable to defend themselves to the point of breakdown by ego driven broadcasters and bosses,the covert transfer of people with mental health problems to areas other than where the manager was,the subtle cover up of suicides (at least 3 I know of, including that of a close friend) where information was “shut down” to other members of staff, unsubtle threats of “do not talk about it or you could get into trouble” with managers,a complete ignorance by many people of what the policy was and how to enact it, unsympathetic defences by bosses of people who could not defend themselves and peer group pressure that helped to drive people away and, in some cases, mad. Yup, this is the organisation that says it is all over the subject, including rare admissions by celebs and non celebs alike of their pain and distress over mental health issues and for some bizarre reason all I can think of is the fact that perhaps this might, just might, be a start within the organisation to look towards their own and actually cut the ties between the is and the ought…..
Why? Because as they say, there is honour among thieves…..
A fact is something that can be proven by observation from cause to effect. An inference is something that is inferred, or implied, by the existence of two conditions. For example: my dog is asleep; my dog farted; I infer that my dog must only fart when he is asleep. In order to understand how shock-jock radio works we have to understand how these two definitions become blurred in practice, in order for the broadcaster to shift the argument his or her way. Let’s take another example from AJ – In a broadcast a few years ago he stated the following – “The Federal Government has given the NSW government 10 million dollars to improve their transport infrastructure” This is a provable fact.It is available to be examined as a fact of government and can be restated as an evidential fact. Note how the fact of the 10 million dollars has shifted from being an “article of faith” to being an “article of doubt” – an inference based upon the fact of the money and the inferred untrustworthiness of the Federal Government. I noticed yesterday that the leader of the Opposition did just this in a statement on the interest rate where he affirmed the fact of the interest rate cut and then blamed the prime minister and treasurer for the economic conditions that surrounded it, even though the Governor of the Reserve Bank is the only one person who actually can be inferred as the responsible conveyor of the fact of inference. The AJ’s of this world use this personalisation of a fact as the pivot of their arguments all the time because they know, as we all should, that a fact is a fact and an inference is a way of both disputing a fact and creating a “scapegoat” for the fact. The problem is that over time the intelligent person can, and will, see through this type of argument,but, sadly, the AJ listener for example is not able to see the conditions of the argument as it is overlayed with emotive reaction of the shock jock audience.I have witnessed this on a larger scale with Ray Hadley’s audience, because Hadley does not argue on the ABB1C because he does not know it so he takes the “reactionary” emotion and uses it to constantly infer, and, in fact ignore the facts.